We offer a large inventory of welding and plasma cutting equipment for short-term rental and long-term leasing. 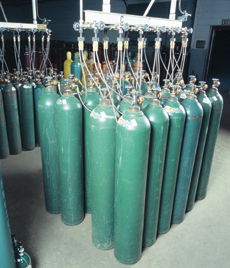 We can even custom-tailor a gas cylinder rental program for the day, month, or year. Prefer to own your own equipment, but don’t have the funding immediately available to purchase it right now? We also have a rent-to-own program for new and used equipment. Regardless of whether you’re renting, leasing or renting-to-own, we provide experienced technical support for all of our tanks and equipment. If you use welding equipment less than 60 percent of the time on your projects, you should think about renting it. However, you’ll also need to consider if it has to be available immediately for many of your jobs. You need to balance amount of use with the importance of availability. How many welding machines will you need to complete your projects? If you don’t use a lot of equipment on a regular basis, renting is probably better. If you require a large number of welders on a regular basis for high-volume work, purchasing is most likely more cost-efficient. What specific welding tools will you need for maximum efficiency? What welding equipment do you need to have available all the time and what do you need only once in a while? 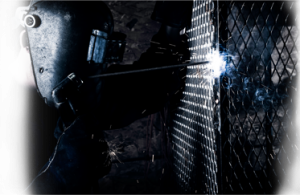 If not having a particular piece of welding equipment will affect your bottom line, purchasing it may be your best option. But if you need a certain machine periodically per project, renting your welding equipment is the solution.